Clean up day is a chance for us to get together and make a difference to the environment we all paddle in. There will be jobs to suit everyone. 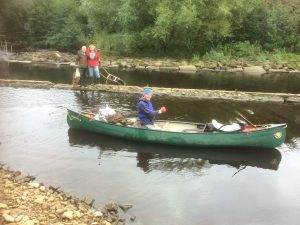 Most important this time will be clearing up the river itself and the banks and the overhanging branches to get rid of the rubbish which has been washed down this winter. If the river is too high, or if you prefer, there are plenty of indoor jobs to be done as well. We provide gloves but not overalls so please wear stout shoes or wellies and old warm clothes as we may get muddy and wet. All members and their friends and family are welcome. Please let us know if you can join us in the morning and if you would like to stay for a paddle in the afternoon. Email Vicky McGhee on volunteers@halifaxcanoe.org.uk.